The next-to-last image, Bob, is especially beautiful. So breath-takingly rugged in places, while utterly smooth in others. I have no trouble imagining the 23rd Century’s version of “Into Thin Air” happening on this amazing world. 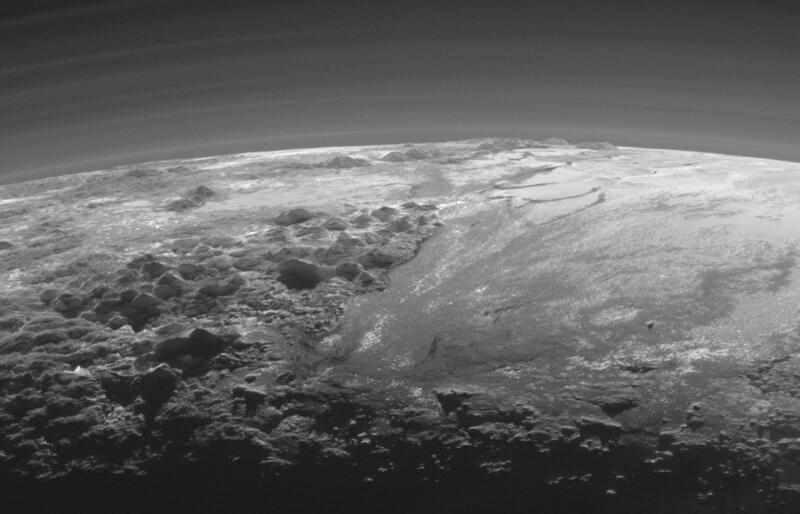 What would be better than finding clouds on Pluto? How about a limb angle shot with a volcanic plume in the B/G like Carolyn Porco’s find on Io? Triple point transitions (liguid, gas, solid) at cryogenic temps on Titan are known to create weather that eventually forms seas, lakes, clouds and rain. 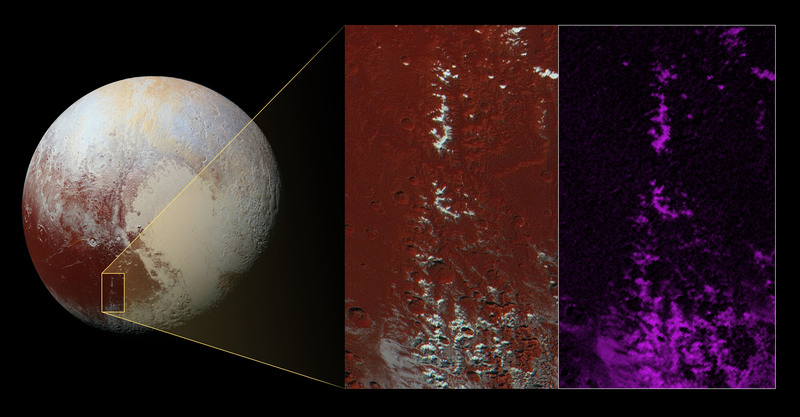 Pluto’s elemental make up is similar and appears to also exhibit cryogenic transition phases. We’ve found evidence of liquid water flowing on the surface of Vesta.. where next? 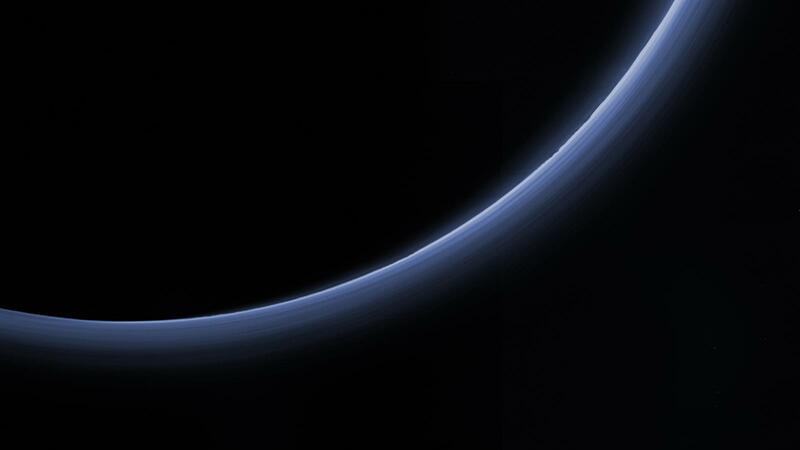 There was talk of possible liquid neon on Pluto prior to the NH flyby. What a pity that that did not pan out. Methane tourism in our Solar System is about to boom. Tour operators will soon offer packages that will include skiing and snowshoeing on Pluto, optional excursions on Charon, cruises on Titan’s Ontario Lacus, spelunking on Enceladus, ice fishing on Europa, prospecting for gold on Ganymede (and diamonds too) during the return leg of the trip. All the packages include a stop over to relax at our spa on Ceres, renowned throughout our local arm of the Milky Way for its therapeutic salty baths and its triple award winning staff from Venusville before returning to the only blue dot that we call home.